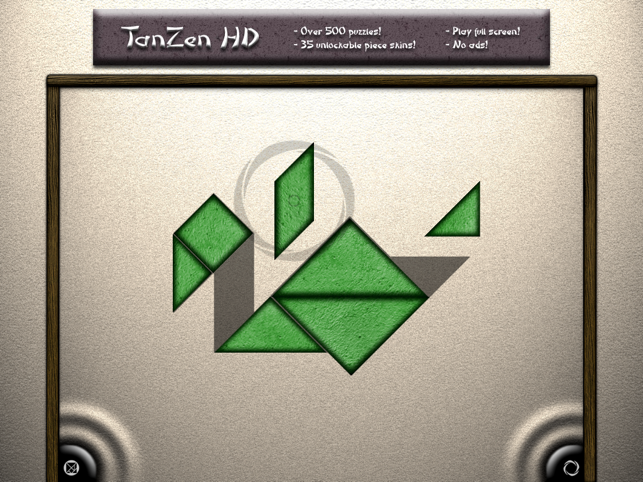 Find your Zen, with this updated version of the classic tangram puzzle game! Over 500 puzzles for free! Choose a puzzle to solve, and try to fit all seven game pieces within the shaded puzzle area without overlapping. 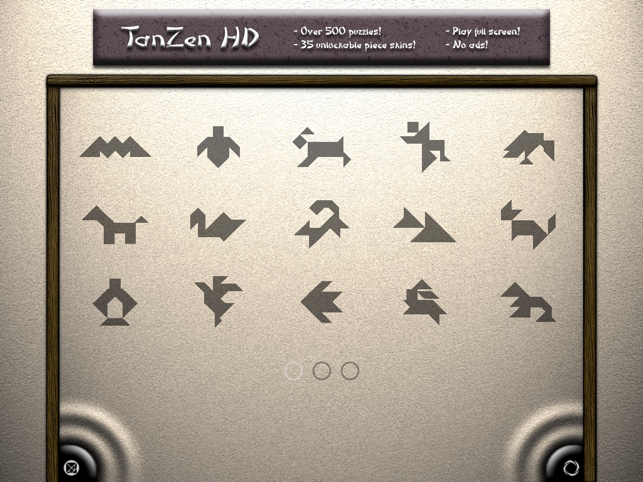 TanZen HD will recognize when the puzzle is finished. - Entirely new high resolution graphics! - 35 unique piece skins! Solve a page of puzzles to unlock each new design. - 5 different sand backgrounds. - Multiple save slots for family play. 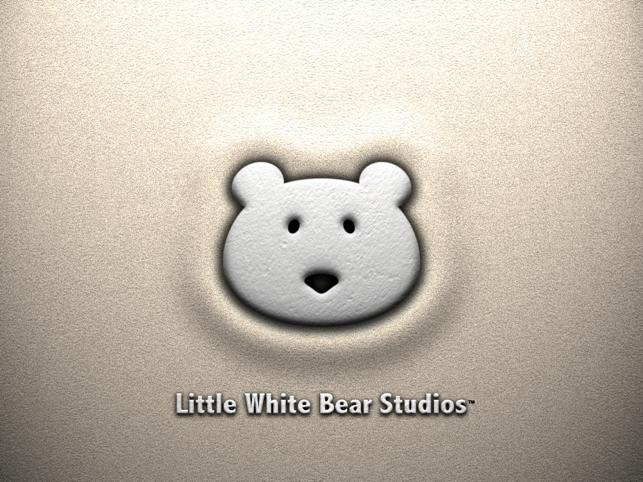 - Streamlined interface, with every option available from the main screen. - Larger play area for solving puzzles. - New puzzle picker layout, showing more puzzles per page. - Play songs from your own music library, right inside the game. - Left and right landscape orientation support. - Over 500 puzzles for free! - Large, intuitive touch controls. 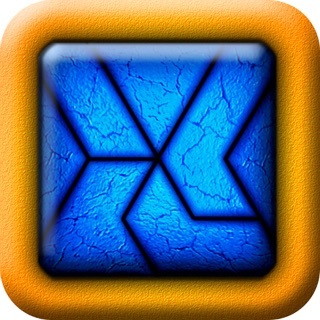 - Solve puzzles in any order. 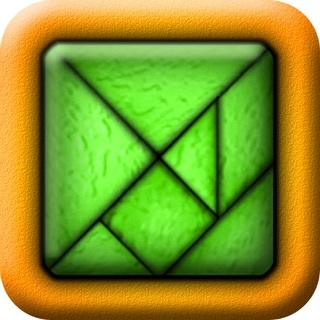 - Puzzle memory keeps track of multiple, in progress, puzzles. - Puzzle reset. Give your device a hard shake to send the pieces back to the corners. 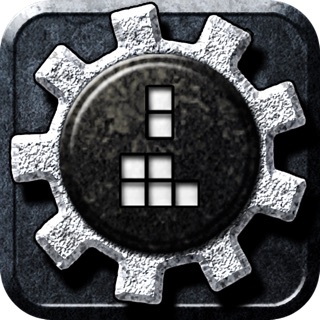 - Track your progress, with a complete view of all your completed puzzles. 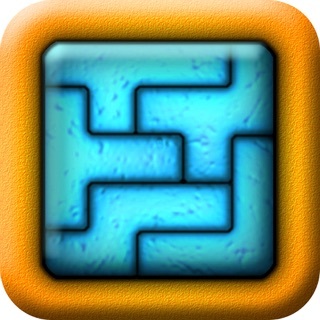 - Advanced mode for expert puzzlers. 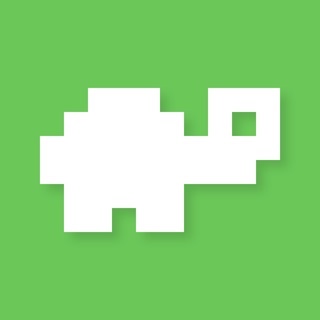 - Soothing background music and sounds by Atomicon. 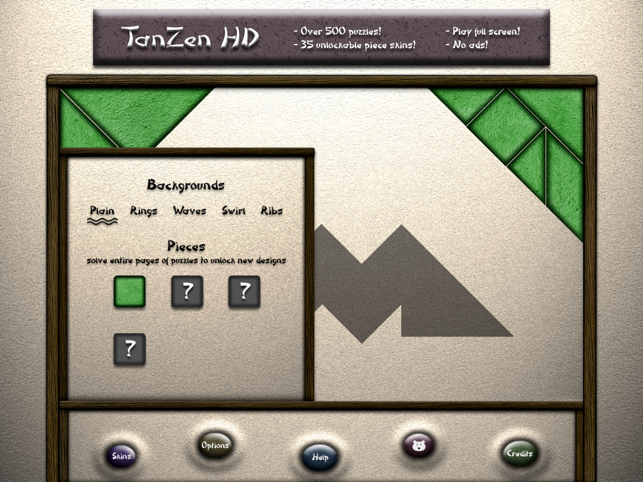 As always, our ability to continue to update and support TanZen relies heavily on your reviews and feedback. As the reviews reset with each update, please take a moment to update your review. Thank you!